Andrew Puglisi’s father, Bob, trawled for prawns 280 days of the year, pulling in up to 2,000 tonnes from the clear, cold waters of South Australia’s Spencer Gulf. Andrew works just 50 days a year but harvests a similar quantity, thanks to his local fleet targeting only the largest prawns, leaving smaller ones to mature and spawn. Probyn … considers cultural and social research to be a vital adjunct to work being conducted in marine and environmental science. 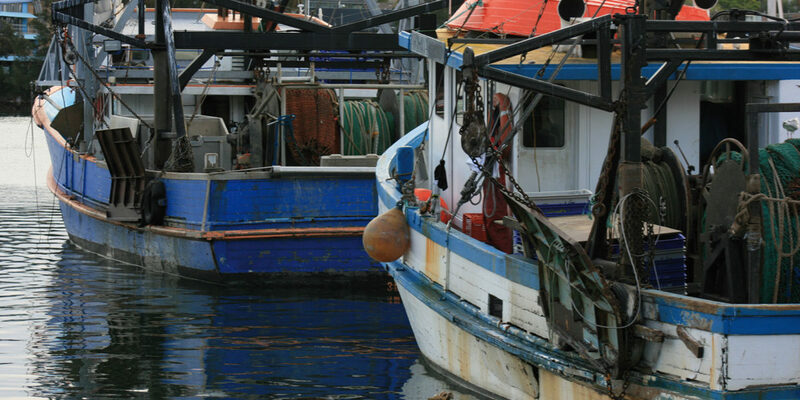 The changes—which Puglisi and his fellow fishermen implemented after they realised that stocks were seriously depleted—have led the Marine Stewardship Council (MSC) to certify their fishery as sustainable. Puglisi’s company remains a rarity, though—one of only two prawn fisheries in Australia, and nine in the world, to receive MSC certification. To achieve that kind of radical shift in practices, says the University of Sydney’s Elspeth Probyn, large-scale cultural change is required. Professor Probyn is studying how society engages with fish production and consumption in Australia, the UK and Asia. For the industry to become more sustainable, she believes, we will all—retailers, processors and consumers as well as fishermen – have to rethink the way we view fish and fishing. Prawns, an iconic Australian seafood, are one focus of Probyn’s research. Another is the farming of critically endangered southern bluefish tuna by Croatian migrant families in Port Lincoln, South Australia. She is also examining oyster and mussel aquaculture, since those two shellfish, she says, are “as close as you can get to sustainably grown, ‘clean green’ marine protein”. Of key interest to Probyn is what happens when communities choose or are forced to abandon fishing, often through government buy-outs, and how such communities adapt. Meanwhile, at supermarkets and fish markets in Australia, China and Japan, Probyn—a gender and cultural studies expert—plans to survey the attitudes of retailers, buyers and consumers. Among the questions she will probe is why most Australians say they value sustainability yet very few buy sustainable products. In the UK, Probyn is investigating how supermarket chains such as Tesco and Sainsbury’s have transformed buying habits by promoting sustainable fish. She is also exploring cultural representations of fishing, on TV and social media and in documentaries and advertisements. One aspect which strikes her is the rise of consumer activism relating to the marine production of food. Instigating cultural change is critical, Probyn says, particularly amid forecasts that a swelling world population will increasingly rely on the oceans for food. In the Spencer Gulf, the prawn fleet carries out annual surveys of the fishing grounds. Based on that data, fishermen confine their trawling to small, well-stocked pockets. While Puglisi and his colleagues are models of good practice, their prawns constitute less than one-tenth of Australia’s annual catch. Moreover, 70 per cent of prawns eaten in Australia are imported, mostly from Asia. Probyn, who has set up a website called The Sustainable Fish Lab, considers cultural and social research to be a vital adjunct to work being conducted in marine and environmental science. “It’s about changing mindsets,” she says.